The explosion of internet usage cannot be overstated. Supply of Internet Protocol (IP) to the public is a pressing need and an extensive market opportunity. Conventional systems have used existing infrastructure such as TV cable and telephone lines to provide high speed IP. This is not an option in large areas of the US or in many parts of the world. Advanced Wireless Solutions (AWRLS) with the cooperation of Transcom Corporation has created an answer that does not need wire, cable or telephone line. IP will be distributed in pure digital to your customers both rural nd urban by using a wireless, low energy, TV broadcast. Customers will need only a small unobtrusive panel to receive high speed internet service on par with cable and far speedier than telephone based DSL. Best of all, the usable distribution distance of a single site is almost 20 miles. This is almost ten times further than DSL distribution (from an access point). Over 1200 customers can be serviced in this manner from a single point of distribution. 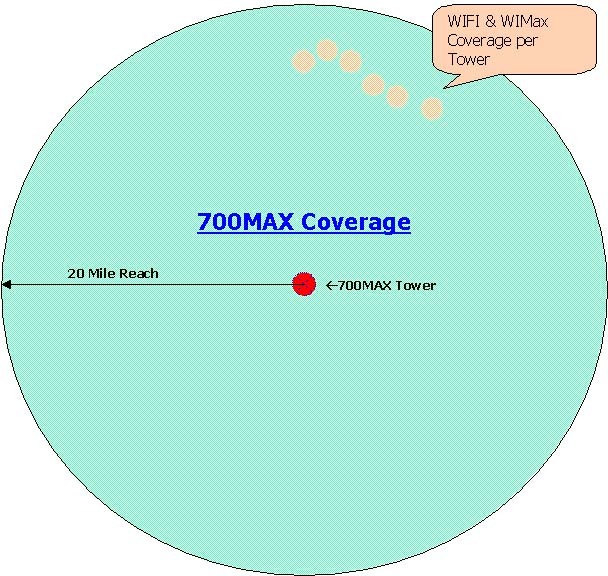 Base station coverage of over 20 miles! Inexpensive CPE(<$260 USD) and easy to install. Base station is available in sectored or omni-directional versions.